Are you ready for a new season of Carols in the reservoir. The people of Brisbane love carols, and what could be more mystical about celebrating Christmas than celebrating in the Spring Hill Reservoir, being serenaded by world-class performers singing traditional Christmas favourites with Carols in the Reservoir. Be six metres underground, in a 150-year old water reservoir, in Brisbane’s CBD, in Summer as the snow falls for your Christmas breakup at Carols in the Reservoir! World-class performers singing your favourite Christmas Carols in Brisbane’s Underground Opera House! 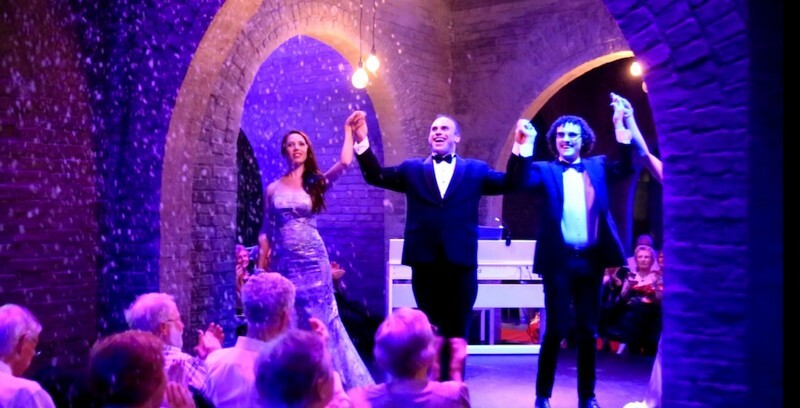 Whether you’re booking for a night out with a friend, or a Christmas function, you don’t want to miss this wonderful treat, where you will be entertained by some of the countries best opera and musical theatre performers, guided by a charismatic MC. Celebrate the end of the year, with Christmas cheer, at the Spring Hill Reservoir.